WHO: Everyone is invited. This is open to everyone. Individuals, families , friends and dogs. The place is pet friendly. 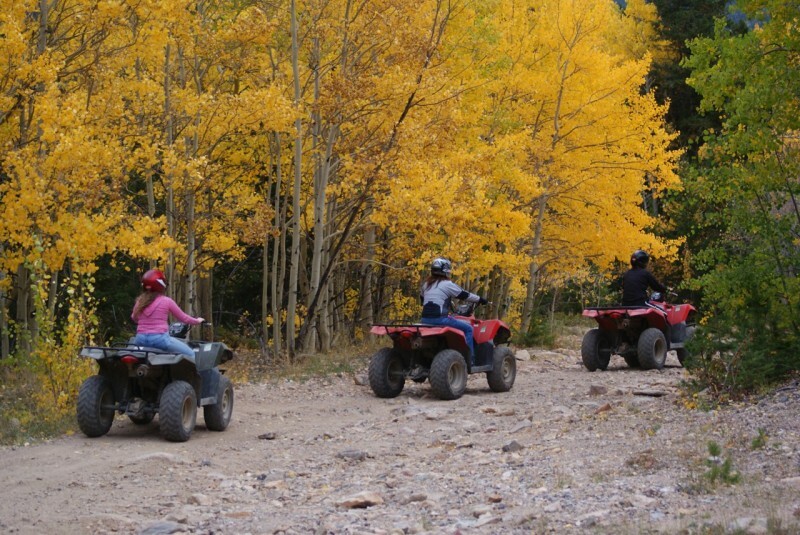 WHAT: FALL COLORS RUN is a time to enjoy the peak season fall colors changing in South Fork, Colorado. We will be organizing ATV / Side by Side trips daily on Friday, Saturday and Sunday. We will include free training sessions for SAR teams and driving skills for anyone that wants them – daily. There are also many scenic destinations all around the area if you are not interested in the ATV scene. Pagosa Springs is 45 miles away with natural hot springs. WHY: A chance to get away in a beautiful setting with family and friends and just relax and have fun.